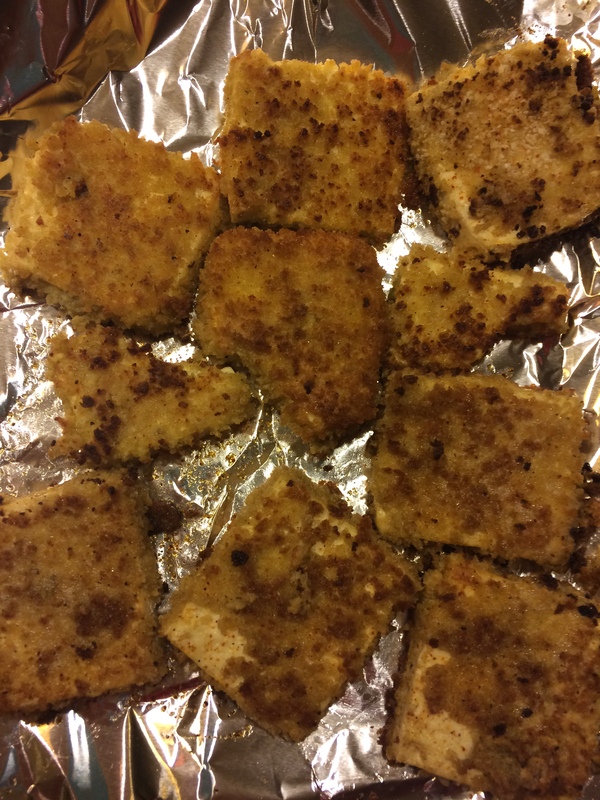 This month’s recipe is so easy I debated posting because it seems pretty self-explanatory..Breaded tofu. But I realized that some people think tofu is this mysterious/weird food that is impossible to make taste edible. It’s not that complicated yall, and this is coming from someone who was never a huge tofu fan. However, I realized tofu can be really great if it’s seasoned well (which is true for most foods). I use regular seasoning like Tony Chachere’s and Season Salt but if you are more of a professional, just use whatever you usually season chicken (or whatever meat) with. 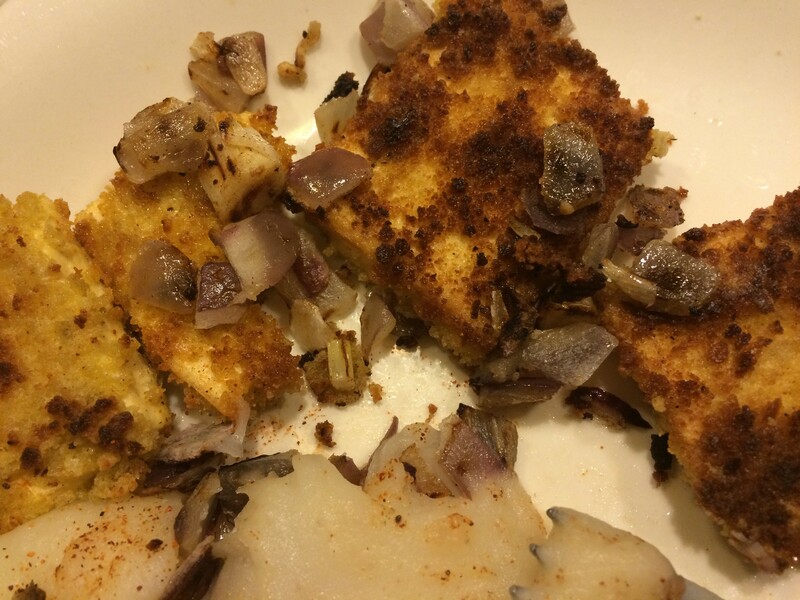 Ingredients: Italian bread crumbs, 1 egg, 1/2 chopped red onion (or yellow onion), olive oil, seasoning (salt, black pepper, Tony Chacheres, and a little Season Salt), and extra firm tofu. Heat a frying pan with olive oil (or vegetable oil). 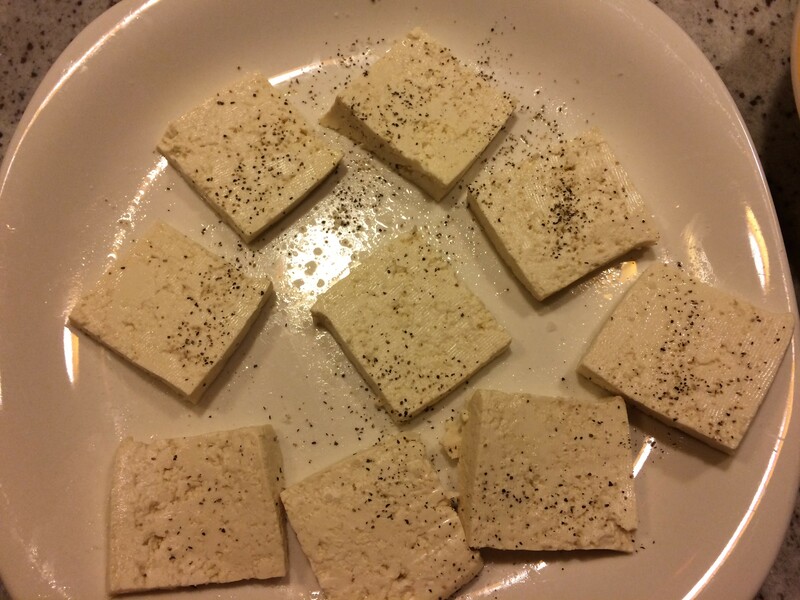 Slice the tofu into squares and sprinkle some salt and pepper on it. Have two bowls ready: the first bowl has 1 beaten egg in it and the second has the Italian bread crumbs with the seasonings in it. Dip the squares in the first bowl with the egg. Then, cover it in the bread crumbs and seasoning from the second bowl. Place tofu in the heated frying pan and flip over until both sides are golden brown. Then place fried tofu on sheet of foil. As you can see from the pic below, some of the squares got broken up lol. When I finished frying all the tofu squares, I put them in the oven for a little bit just to make sure they were cooked thoroughly. I’m not that good at frying things…I should probably buy a deep fryer. Separately or together, you can saute the chopped onion and put on top when time to serve. I had my tofu with mashed potatoes and broccoli. It’s a quick and easy dinner and really filling!